BYD presented its first electric bus. Chinese automobile manufacturer BYD presented its electric bus model that will soon be making its way to the streets of Athens. The bus is 100 per cent electric, 8.7 metres long and can carry a total of 58 passengers with 22 seated. 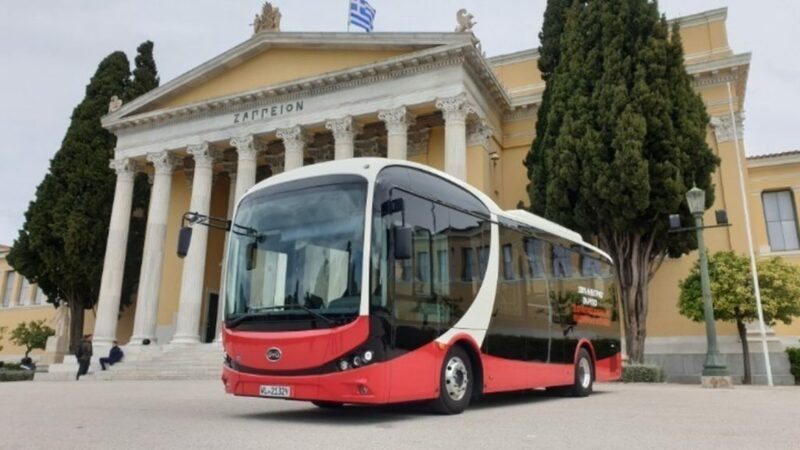 Greek Transport and Networks Ministry Secretary General Thanos Vourdas said that “an electric bus becomes a reality for the first time in Athens.” He added that electric transport should also gradually be introduced to other urban centres around Greece. However it is not yet known when the bus will make its way to the streets. The single charge can keep the bus running for 200 km. It features aluminum chassis, 180 KW-power housed electric motors, a 250 BHP engine, and 350 NM of torque available upon ignition. It is one of 50,000 BYD electric buses so far sold internationally. The agreement is nearing completion, and charging bays will need to be set up for the bus to be operational.